As incredible as it may seem, monetary systems in antiquity were somewhat integrated. Before the great civilizations declined, they all conducted international trade with the same two currencies: GOLD and SILVER. Any form of silver and gold was acceptable money. 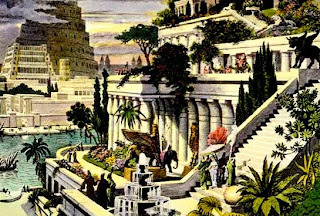 Pharaoh’s gold bracelets were negotiable currency in Babylon; silver and gold ingots from Rome could be spent in Athens. In foreign exchange, businessmen and potentates of the most powerful kingdoms constantly compared the value of silver to the value of gold. Ancient Romans, Chinese, Greeks, Egyptians, Babylonians, Assyrians, Harappans, and Sumerians paid very close attention to the ratio. The value of the gold compared to the value of the silver was part of the transaction. Nations and tribes carried on seamless trade by using equivalent units of mass to weigh un-coined silver and gold. They placed the silver or gold on one side of a balance, and offset it with a standardized weight such as a shekel, gerah, maneh (mnáh), or talent. The “shekel” was one of many standardized weights used to measure the value of monetary metals. The value of 1 shekel of silver was usually calculated as 1/15th of the value of 1 shekel of gold. (The shekel was not a coin until 141 B.C.) For thousands of years, international merchants and local traders used this system of weights to evaluate gold and silver money. of silver to get the gold-to-silver ratio. According to monetary scholars: the ratio was 2½ to 1 in Egypt under Menes (Code of Menes c. 3,100 B.C. ); the ratio was 12 to 1 when David was King (c. 1,000 B.C. ); 5 to 1 in ancient Syria; 10 to 1 at the time of Hezekiah (c. 678 B.C. ); 13 to 1 in Greece before Alexander the Great set the relationship of gold to silver at 10 to 1 (c. 330 B.C.). The ratio was 12 to 12½ to 1 in the Roman Republic (until 27 B.C. ); 8 to 1 in Japan; 4 to 1, then 10 to 1, and later 12 to 1 in China. In Europe -from the Greek Testament to about 1492 – the ratio averaged 10 to 1; from 1492 until 1834, the average ratio was 15 to 1. England set the ratio at 16 to 1; Napoleon set the ratio at 15½ to 1. In 1792, Congress under President George Washington fixed the U.S. gold-to-silver ratio at 15 to 1. The ratio for the entire world came close to historical norms in 1980, briefly touching 16 to 1. Today, the ratio of gold to silver is more than 70 to 1. History demonstrates why the current gold-to-silver ratio is artificial. With a 15-to-1 ratio, the silver price would be four times higher. Adam Smith, The Wealth of Nations. In 44 years, the economy has been fundamentally transformed: America’s Fundamental Transformation. * Stone tables and clay tablets of ancient accounting are still being unearthed in the Midde East. Creating Economic Order– Record-keeping, Standardization, & Development of Accounting in Ancient Near East, Inst. for the Study of Long-term Economic Trends, Intl. Scholars Conference Ancient Near Eastern Economies, British Museum, Nov. 2000, Volume IV, A. Mederos, C. C. Lamberg-Karlovsky. There is an abundance of detailed information about the universal weight system of ancient money. Tables of precise weights and measures have been re-constructed from data in the Bible. The Biblical gold-to-silver ratio was 15 to 1. Jason, in todays world comparing silver to gold is like comparing apples to oranges, the only thing similar is they are both fruit, as gold and silver are similar in that they are both metals. We consume silver and we accumulate gold. In the earths crust the ratio is about 17-1, we mine about 11 times more silver that gold. Common sense tells us silver will become very scarce in the near future at the current rate of consumption. Thank you so much, Rhynes, for your very interesting and uplifting articles. I’ve made it my business to catch up on the World money situation , and your site has been so great! On a personal note, I was in your shop(cherry st?) in the early ’80’s and bought a few silver bars….I remember vividly being treated with such down home kindness and grace….think that was Denise. I’m a Montana boy till I die but have referred my son, who lives in the area, to you fine people. Toodles!